Benefits of using LED headlight bulbs over halogen headlight bulbs include a long lifespan, desirable white light output and they use less power. Therefore, many car owners are using a conversion kit with adapters so they can use them. The best LED headlight bulbs are the LASFIT LED Conversion Kit, which provide a 6,000K white light output and are up to 200% brighter than a halogen alternative. LED bulbs are used in numerous location around the car from the DRL’s (Daytime Running Lights) to the headlights. The most common bulb sizes you will find that are LED include H7, H11, H4, H13, H1 and many more. 7.6 Are LED Headlights Road Legal? When it comes to LED vs HID, many people will confuse the two as the same solution. This would be incorrect as a HID kit use plug-in kits or are incorporated into a headlight unit with bulbs that feature xenon gas. Although LED headlight bulb may require additional adapters like the HID’s but they use a semi-conductor to generate light as opposed to a filament. Investing into a quality conversion kit will ensure that there are no loose connections and it will be built to last. Below is a list of the best LED headlight bulbs that provide excellent light output and are easy to install with adapters and other hardware. The LASFIT conversion kit for LED headlights is one of the smallest units available and is compatible with an array of vehicle that include Mercedes, Volkswagen, Ford, BMW, Chrysler and many more manufacturers. For those that want a simple installation, this will be one of the best options. It has no external driver and simply connects directly into OEM housing plugs. There is no wire cutting and the compact size means there is no tight fittings too. Overall, they are the best LED headlight bulbs that provide an excellent source of light and has been built to last. Although it has a large price tag, it is worthwhile spending the extra for the intuitive features and premium quality. The most popular conversion kit for LED headlights are is the Cougar Motor kit. They are reasonably priced and use premium materials to ensure that they are built to last. This is reflected by Cougar Motor’s warranty period, which is 3 years along with lifetime support for peace of mind. Overall, these are excellent all rounders that combines value for money, build quality and performance to an all-in-one package. Cougar Motors even claim that they will work underwater and are completely rainproof. A more affordable option to the LASFIT are the Hikari LED headlight bulbs. They are available in 10 different bulb sizes and due to the low cost, they are great for using in other locations too such as the fog lights. The Hikari LED conversion kit offers excellent value for money and are very bright with 9,600 Lumens. Hikari claim that these bulbs are 220% more brighter than standard bulbs and still maintain a flawless beam pattern. You will not be disappointed with these bulbs and they come with 2 years warranty for peace of mind. 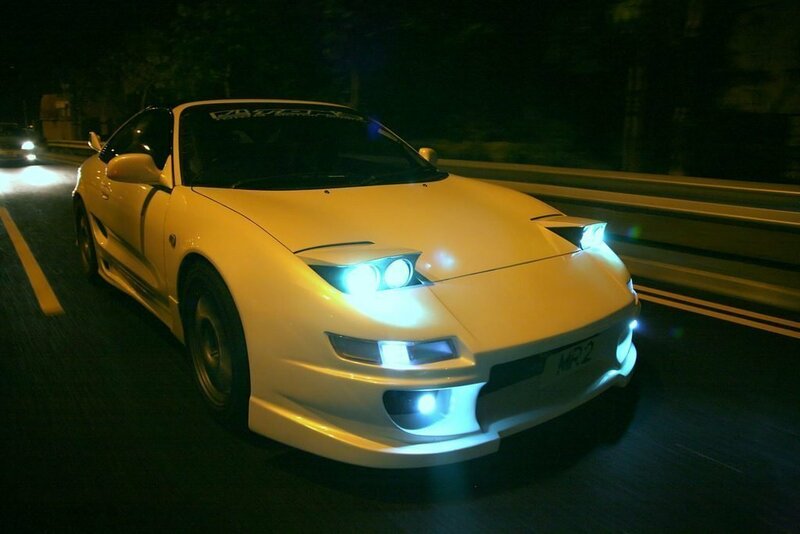 One of the brightest LED headlight bulbs available are the JDM Astar. They produce a huge 10,000 Lumens without the need of an external driver. It is a complete conversion kit that contains everything required for the upgrade. Overall, they are are an efficient bulb that produces a xenon color light output at 6,500K. However, the unique selling point of these bulbs is of course the brightness and you will not find any more brighter at a similar price. The cheapest LED headlight bulbs that retain their performance is the Qcheye conversion kit. As most budget kits have questionable quality, Qcheye provide a 2 year warranty for peace of mind and claim these bulbs will work for more than 50,000 hours. Considering they cost so little, these ratings are highly impressive. Most cheap conversion kits save money by taking cost cutting measures with regards to the heat dissipation. However, not the Qcheye as it uses a turbine fan to actively cool the copper heat sink. Overall, if you are on a budget, these LED headlight bulbs are an excellent option with great performance for the money. Upgrading to LED headlights provide a range of benefits from a longer lifespan, desirable white light output, low wattage use and much more. They are used in a range of other locations that include brake lights, fog lights, interior lighting, day time running lights and much more. In order to be compatible in a range of locations, LED bulbs are available in a range of sizes that include, H1, H3, H4, H7, H11, H13 and much more. Ensure that you check your bulb size before purchasing on of the recommendations above. To help assist with your buying guide, we have produce a detailed buying guide below to help you make an informed decision. As you can imagine, not all vehicle will be able to switch their halogen and replace it with LED headlight bulbs. 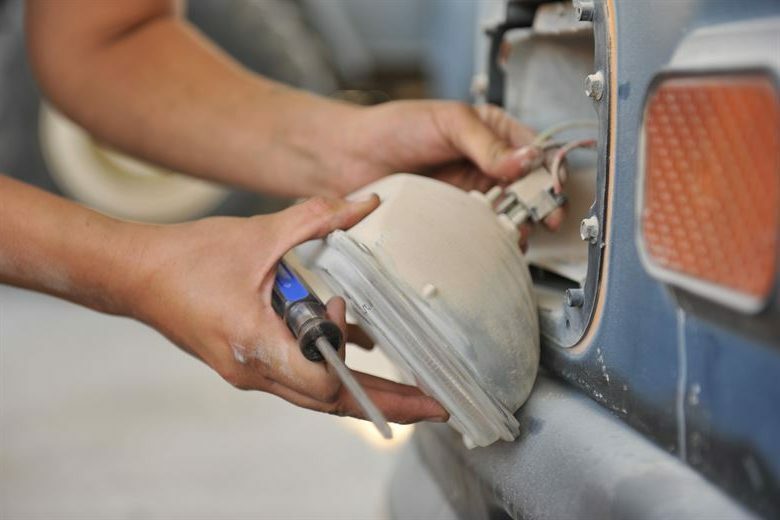 Therefore, the majority of LED headlights come as a conversion kit that include the bulbs, adapters, connectors and a few other bits of hardware. Installation is easy and you can replace your bulbs in less than 30 minutes. Depending upon your vehicle, either remove the headlight assembly (as shown below) or open the bonnet to access the rear of the headlight. Simply remove the halogen (avoid touching the glass) and then place the LED headlight adapter if required. Once put in place and stable, connect the LED bulb to the adapter and you are all setup. For those that like to see a video tutorial, check out this installation. As with all lights, the light output will be a certain color and referred to a Kelvin rating. The Kelvin temperature chart determine the output color of the bulb where the majority of LED lights fall between 3,000K and 6,500K. Opting for a light color over 6,500K often results is a blue hue to the light, which may not be street legal. Some car owners may want the brightest LED headlight bulbs they can get their hands on. If this is the case, you will want to pay attention to the Lumens ratings of each bulb. The higher the rating, the more brighter the light output. One drawback of using LED headlights is that they produce heat when used for long periods of time. This is because LED bulbs use semi-conductors, which rely on temperature for its performance as a diode is required for low temperature output. Therefore, you should ensure that the conversion kit uses a cooling system for heat dissipation to avoid any premature breakdown of the bulb due to excessive heat. A common issue that many people come across is the dreaded CanBus warning light due to incompatibility with the vehicles computer and the new bulbs. No matter how many times you remove the error with a car diagnostic tool, as soon as you turn the light bulb on, it will reappear. In order to overcome the issue, we highly recommend that you have installed the capacitor between the bulb plug and socket correctly. Loose connections is a popular cause for the CanBus error and it can be solved fairly easily. When it comes to purchasing LED headlight bulbs, you will want to pay close attention to your state laws. There are laws that restrict street usage of bulbs that output certain colors (i.e. outputting blue light) or bulbs that are simply to bright. For example, in Indiana there is a specific ruling for blinding lights as shown here. However, the bulb itself is not the main issue, it is the reflector. This is because if your headlight reflector has been designed for halogen bulb, it will distort the beam pattern from the LED light. This has the effect of spreading the beam output, which can frustrate drivers on the other side of the road. The likelihood of getting pulled over for using LED headlights is very unlikely as long as they are not blinding other road users. However, you should be warned that the majority are not DOT certified and may get you in trouble. Introducing LED technology into your vehicle in the form of LED headlight bulbs can truly transform the appearance of your car. Not only that, they also produce additional visibility on the road, which makes night driving more safe. Installation with conversion kits is made simple and all of our recommendations in this article are highly rated. Most people will not be too bothered but you should check the state laws regarding the LED bulbs you purchase as not all the kits you find are not DOT compliant.